Amy Sumner has been asking former writers in residence to summarise their feelings about their residencies, and here is mine. If I’d had more space (brevity was important as it had to fit on my book cover) I would have added that being a Gladstone writer is a lifelong experience. I’ve attended workshops by other poets either side of my own residency, and been back to use the library. I’ve been invited back to read at both Gladfest and Hearth, to my great joy, and have enjoyed a few short breaks there besides. The library itself is a real proper old-fashioned library where there is silence so profound, one can hear the books whispering in their different languages. 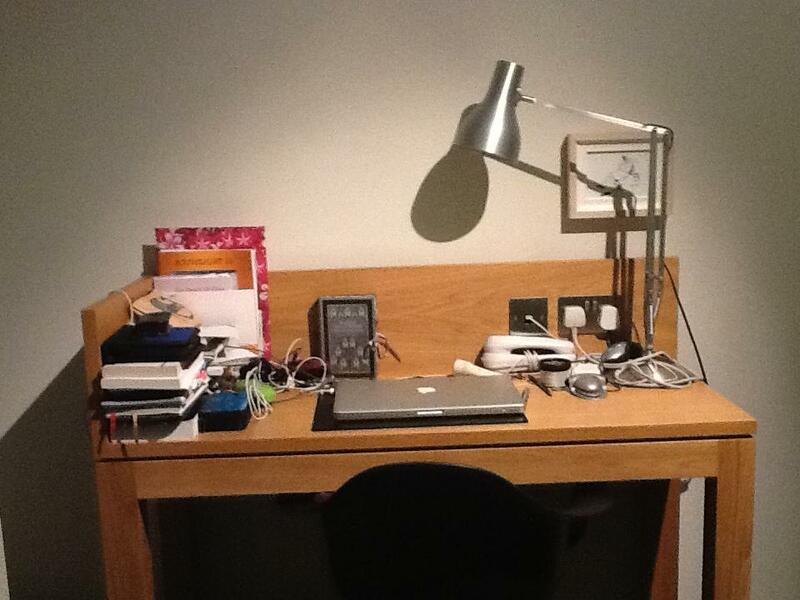 The bedrooms are cosy and all have desks, so work can happen at any time. While you can have peace and solitude in the library and your room, you can find company in the dining room or the Gladstone room, with its squashy leather sofas and a big square table with the daily papers. When I was in residence, I used to take my post-lunch pot of tea in there and read the papers before heading back to the library. For fresh air, there are plenty of nice walks locally, and a rather lovely church next door with some famous stained glass windows. The village of Hawarden is small but pleasant and has all you need including several pubs. I got loads done when I was there. Problems I was stuck on melted away as my focus improved. I wrote some new poems as well as completing my book on John Clare, and edited three pamphlet anthologies I’d been putting off doing. I gave individual written feedback to the writing group that meets there. I led a whole day workshop, and did an evening reading as well as an evening talk. The combination of interfacing with the public and having silent time really worked for me. Seriously, apply. You won’t regret it. I left home after lunch on 10th October, with some excitement and a little nervousness about how I would cope being away from my family for a whole fortnight. I returned on 24th October having completed a huge amount of work and having made some new friends. I have learned I can be self-motivated; that I can achieve a lot when not distracted by Facebook, Twitter, day to day life and chores and all the numerous calls on my time which occur randomly. I finished my John Clare book, I put together an anthology of poems based on Austen, Shakespeare and the Brontes, I typed up poems from my notebook, I started writing a book on Faerie Tales ( done about 7 thousand words so far) and added a little more to my children’s novel, which I am writing to prove to myself I can do it. I’d like to think I could be so disciplined every day, but the reality is that the library is a bubble of peace and bookishness. Meals punctuate the day, and pots of tea are available for tea breaks. My routine was to wake around 8 am, skip breakfast ( I am never hungry first thing), work in my room on the laptop for a while, and pack a bag to go to the library for about 10am. I would then work all day, sometimes in the silent and beautiful library, sometmes in the noisier annex where there was a computer I could use, and activity all around me. Sometimes after lunch I would take my pot of tea into the Gladstone room and work there at the lovely old table, where newpapers appeared daily. I’d then go back to my room for a rest before dinner, then pack a different bag with my knitting and a notebook and go and seek company or relaxation. I did go out for a few walks and had two poetry-related trips to Chester, but other than that I rarely left the comfort of the place, wanting to make the most of my residency. I loved doing my reading on the first evening, before dinner, with the coal fire glowing in the background. My day workshop was invigorating and I was delighted with the standard of work produced. The Lightfoot Letters talk was a treat for me, and those who attended seemed to enjoy it. I don’t usually have the chance to read from the letters themselves and I newly marvelled at how funny, touching and detailed they are. Now I am back in my own little library, with my own coal fire, with some new projects started and some old ones finished. I do encourage writers to spend time at the library, which is free to use if you sign up as a reader, or go and stay there if you want to wallow in its clubby atmosphere. Consider applying to be writer in residence. The scheme is expanding and there will be nine writers-in-residence, who write a range of different genres, next year. I certainly feel enriched by the experience! 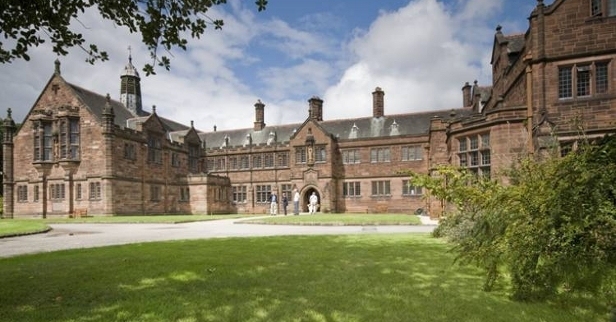 Tagged as Gladstone's Library., Hawarden, poetry, The Lightfoot Letters., Writer-in-residence, Writing Workshops. My residency at Gladstone’s Library is fast approaching and I am looking forward to spending time there away from the hustle and bustle of my daily life as a writer. The library is doing marvellous work with these residencies, and I have enjoyed attending events led by Ian Parks and Katrina Naomi since the scheme started. I have three very different public events during the residency, so there is something for everyone. on 10th October there is a free early evening reading at 5.30 pm wth the option to book dinner at £12. This does need to be booked ahead. On 12th October, I have planned a rich a varied day long writing workshop 10 am- 4pm. This is focusing in particular on writing poetry for children but we will be writing poems and learning techniques as well. The price of £28 includes drinks and a generous lunch. Pre booking is essential. It is a Saturday so hopefully people will be able to attend. Lastly on 17th October, I am giving a talk and reading poems from The Lightfoot Letters, and showing slides of Maria Walker’s artwork as well as photographs of the letter writers, who happen to be my father’s family. Until I met Maria Walker, I had no idea these letters existed but they do offer a fascinating insight into 1920s life in a working class family. In addition to these events, I am looking forward to focusing on writing some new poems and tackling a new critical book I am planning, if I can finish my John Clare book which is almost ready now. The resources at Gladstone’s are amazing, and the peace and quiet of the surroundings very inspiring. I feel a little like I am going to live in Chrestomanci Castle! The food is absolutely lovely, and my only worries are putting on too much weight and missing my family – but then it’s not too far away so hopefully they will come and visit. I’m also planning to take my watercolours as painting helps me notice things. I am delighted that I have been awarded a fortnight’s residency in this beautiful library. The programme began last year and I am looking forward to attending some of the events that Ian Parks is featuring in next month. You can read all about the current year’s fantastic authors on the Gladstone Library website. Next year’s four authors who are residing there for a month include fellow Salt author Vanessa Gebbie. All of them are extremely impressive. Katrina Naomi and I have both been given a fortnight’s residency. We are both poets and I have already been impressed by Katrina’s work. The idea of the residencies is that we use the library for our own research anc complete some new work while we are there. We blog about our stay. Each author hosts events and workshops to share their expertise. These are open to the public and I do urge you to go and seek them out. I am looking forward to the awards dinner this week. There are some people I know, at least on facebook, who will be there. It is taking place at The Liberal Club in London. Each of the six authors will say a few words about what the residency will mean to them. What to say? And what to wear?